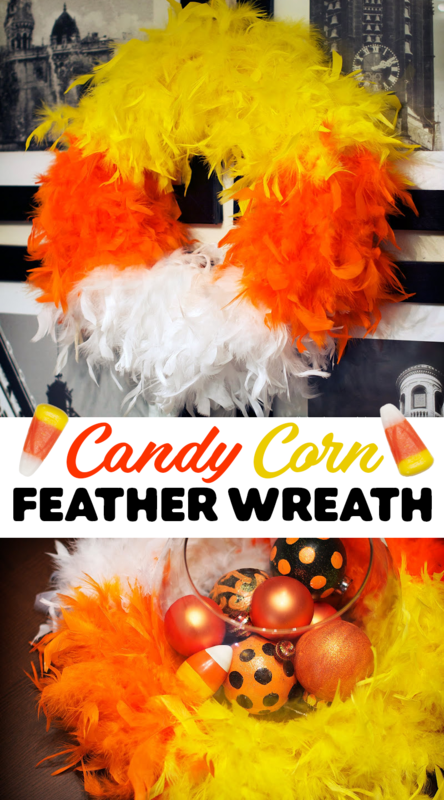 If you’ve been following my blog this Halloween season, you know one thing is certain… I LOVE CANDY CORN! 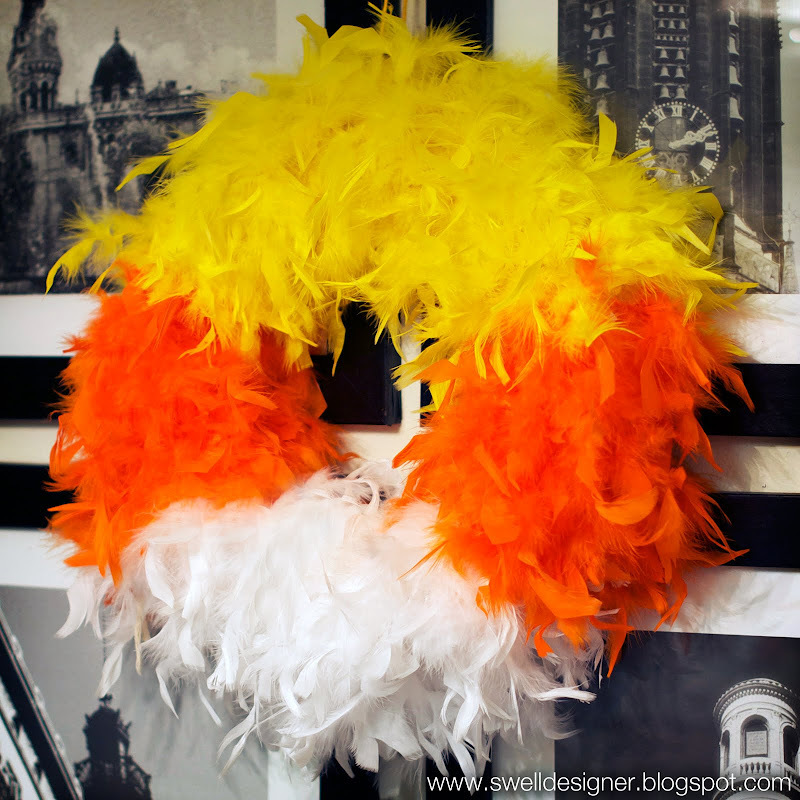 I thought I’d make candy corn a bit more sophisticated and make a fun wreath to display as part of my Halloween décor. 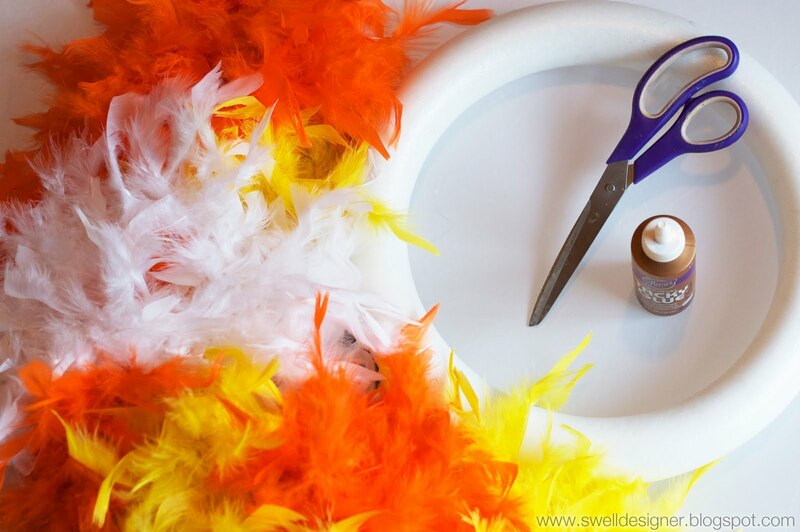 It only took a few supplies and the finished result that took all of 10 minutes to make is full, feathery, fluffy, and amazing! YAY! 1. Wrap the first boa using Tacky Glue to hold in place as you go. You want the boa to cover 1/3 the circumference of the wreath. 2. 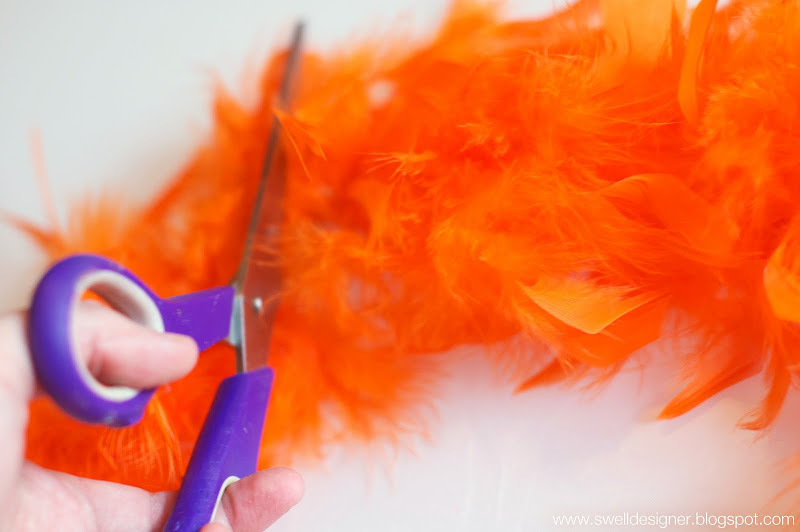 Cut the orange boa in half. Wrap it around the sides of the wreath, gluing in place as you go. This glue works really great and tacks on immediately! Finish off the last 1/3 of the wreath using the yellow boa. Let dry. 3. VERY IMPORTANT STEP! Have a cute kitten inspect your wreath for accuracy and fluffability. 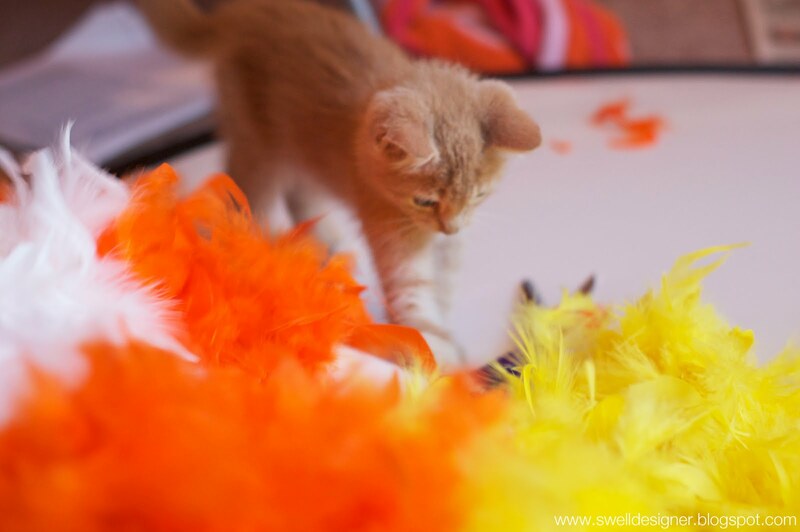 Once kitten-certified, it is ready to hang! 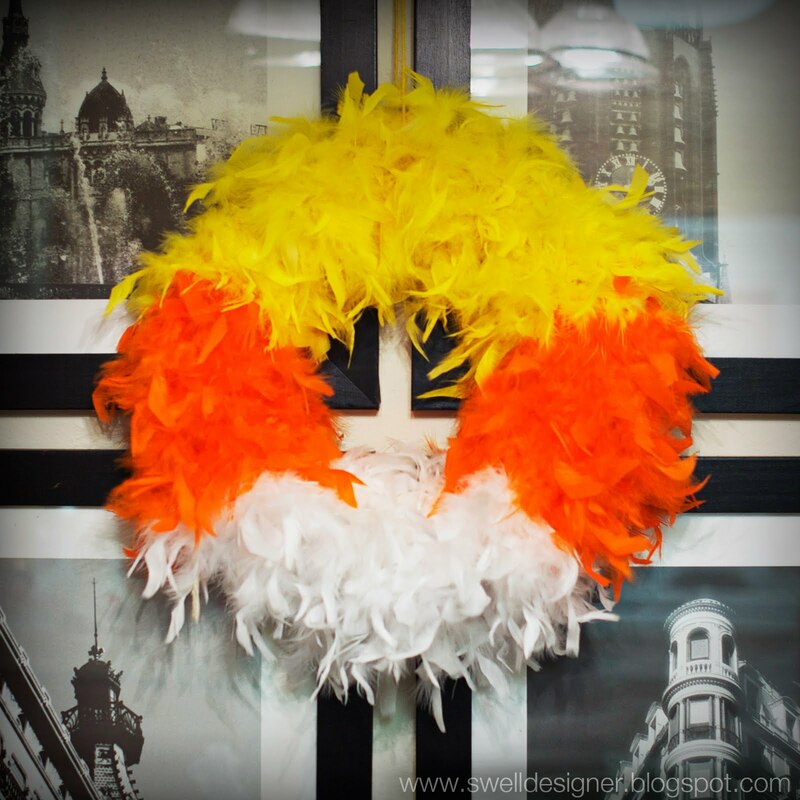 Proudly display your new candy corn feather wreath. I hung mine in between a set of square frames in my dining room. I thought it would make for an eye-catching display! 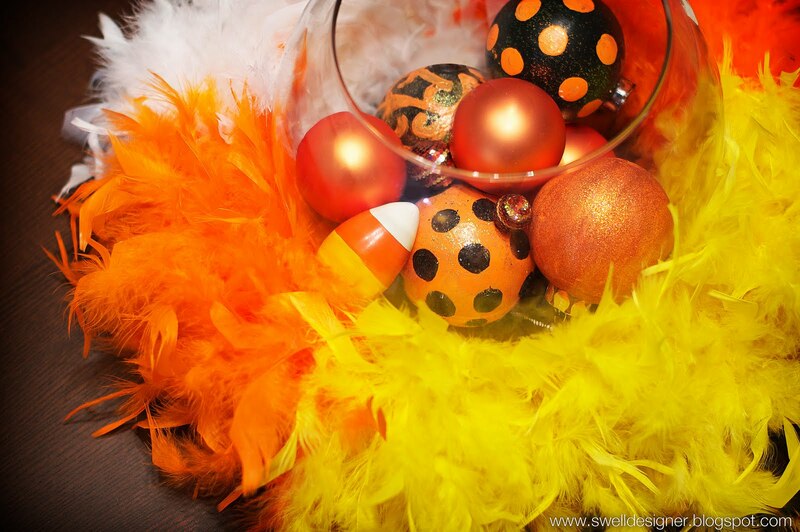 Add some ornament baubles in a fun grouping or candy corn woodsie shapes if you want to dress it up even more! You can also use your wreath as a fun centerpiece. Put a big pumpkin or bowl of Halloween ornaments inside. It makes a bright, festive, and funky display! Hope you enjoyed this wreath! 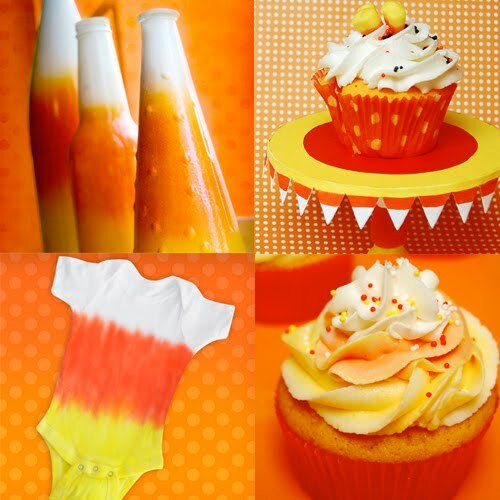 If you liked it, you might enjoy some of my other candy corn crafts!! P.S. I linked this up to the following parties! Ha LOVE THE KITTY INSPECTION!